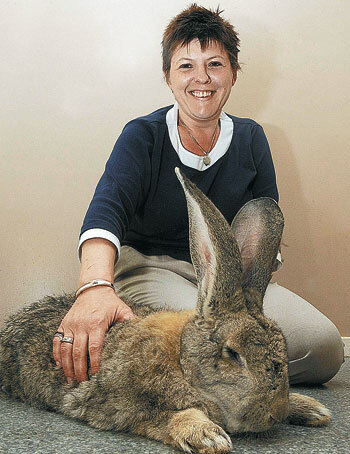 Last summer, we posted about Benny, a Flemish Giant house rabbit, vying for the record of World’s Longest Rabbit. Unfortunately, Benny recently succumbed to illness. But while Benny lived, he touched the hearts of many people: the Heather family, who took him in from a sanctuary in 2008, as well as an incredible number of Facebook friends. With encouragement from Benny’s fans around the world, Sharon Heather has shared Benny’s story in the book, Benny’s Fantastic Adventure. You can buy Benny’s Fantastic Adventure from Lulu.com. 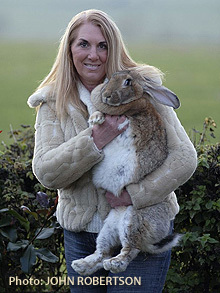 Benny is a Flemish Giant house rabbit living in Oxfordshire, England. Measuring 82 centimeters long (~32 inches), Benny is longer than the previous record holder, Amy, a Continental Giant who died last May who measured 81.5 cm. 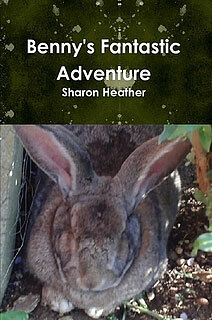 Benny joined Martin and Sharon Heather’s household last year when Martin came across the large bunny at an animal sanctuary. Although sanctuary staff warned that Benny didn’t really warm to people, Benny took an instant liking to Martin. With that, the Flemish Giant was welcomed into the Heather family. Benny enjoys the run of the house and is often found snuggling with the family dog on the sofa. 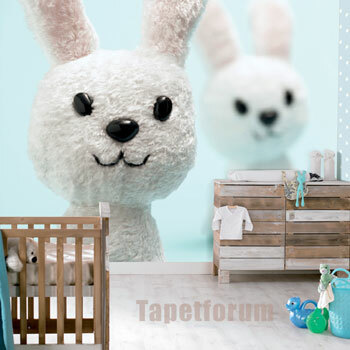 If you’re in the market for wallpaper featuring enormous, slightly ominous-looking toy rabbits, then the Danish company Tapetforum has just what you need. Check out their Funny Bunny wallpaper! Amy, a Continental Giant rabbit, who measured 4 feet and weighed in at 42 pounds, died the night before a scheduled appearance on an Italian TV program. Thought to have died of a heart attack, the enormous rabbit had packed on pounds with a diet high on starches and sugars: two apples, a handful of carrots, half a cabbage, fresh hay and a dog-sized bowl of rabbit mix every day.